Slay, Parody Song Lyrics of Shaft, "(Mucho Mambo) Sway"
I'm scared of rabbits ... petrified of 'em. So I wrote this song. Sorry if it seems kind of repetitive, but the original song is repetitive too. Please leave comments, this is my personal fave. Well it was not too bad, but the unfortunate thing is that it was JUST as repetitive as the original song. You could have varied more. But the pacing was good. And I actually like rabbits. I'm wanting someone to record this for me please ... someone who can sing (i.e. not me). I would be ever so grateful. 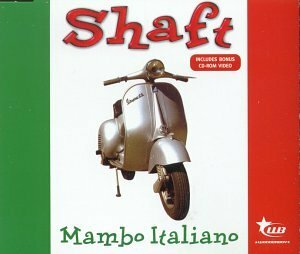 The address of this page is: http://www.amiright.com/parody/90s/shaft0.shtml For help, see the examples of how to link to this page.